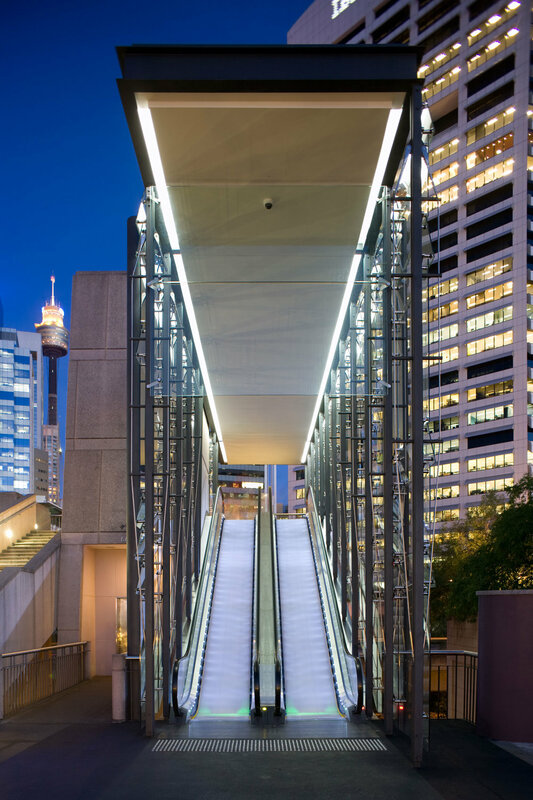 SHFA commissioned Noxon Giffen for the design and documentation of a canopy over existing escalators that link Pyrmont Bridge in Darling Harbour with the Market Street Pedestrian Bridge. 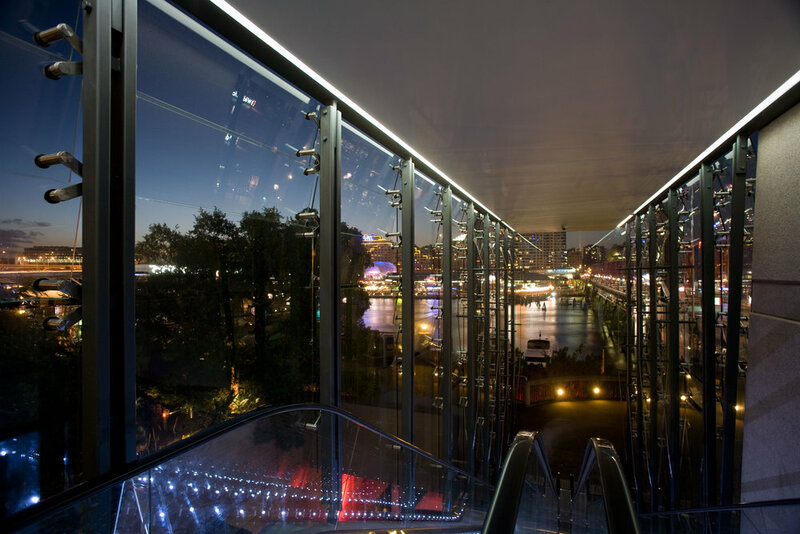 The design intent is to create a robust, low maintenance canopy to provide weather protection to the escalators, while maximising transparency and maintaining the vista across to Darling Harbour. 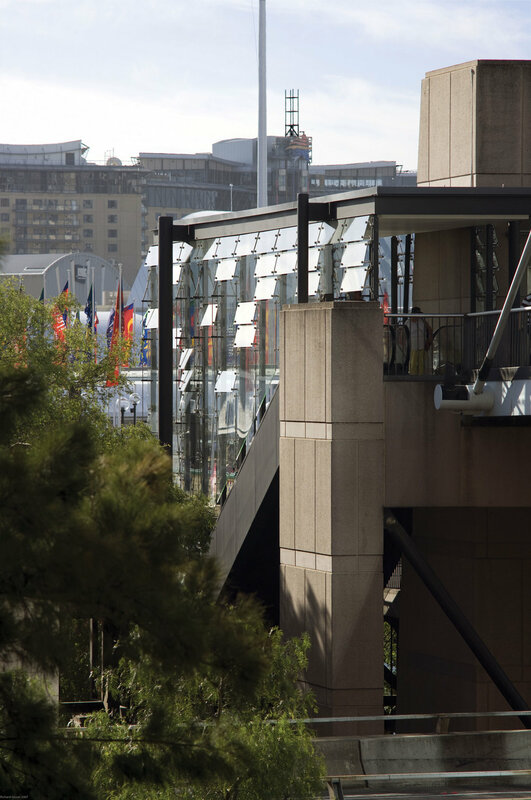 The solution provides a steel superstructure from which hangs a light and permeable glazed wall system. Large wind loads on the 8m tall lower level facade are countered by steel cable trusses which maintain structural lightness.